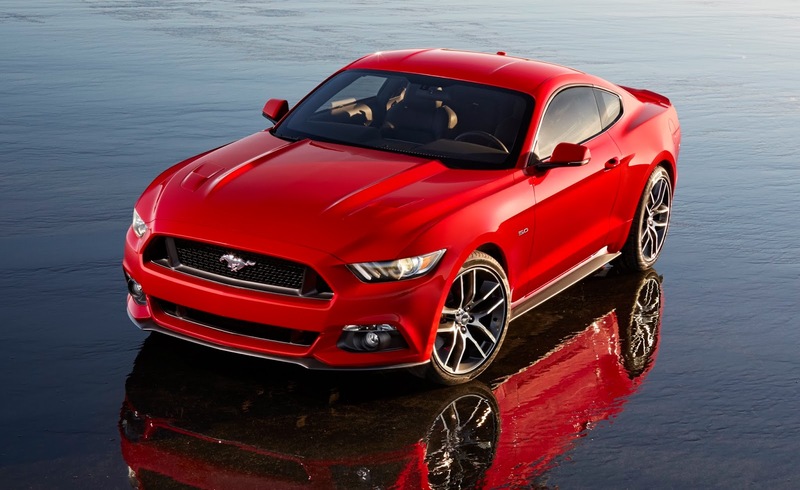 This is the Ford Mustang that will be launched worldwide in late 2014, but that Americans call the 2015 model. As it's officially coming to the UK some concessions to economy, handling and driving on the correct side of the road have been made, over previous models. The Mustang gets independent rear suspension (instead of a single beam), a 2.3 litre EcoBoost engine and the steering wheel on the right. The engines announced today are a 5 litre V8 with 420bhp and 390 lb ft of torque and a 2.3 litre inline-4 with 300bhp and 300 lb ft. 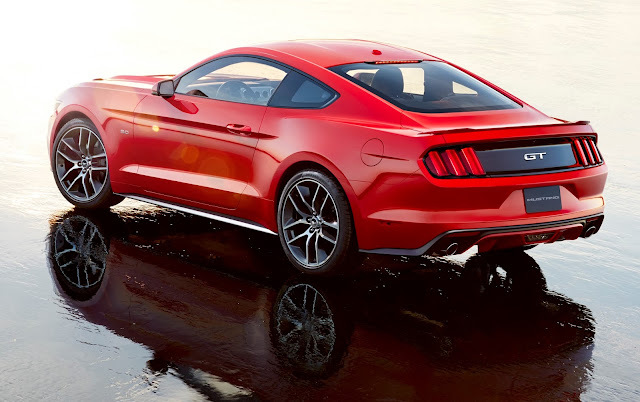 The new Mustang is a huge deal for Ford, being the first ever to be officially available outside of America since the launch of the original Mustang in 1964. The design team was lead by Moray Callum (Ian's brother). 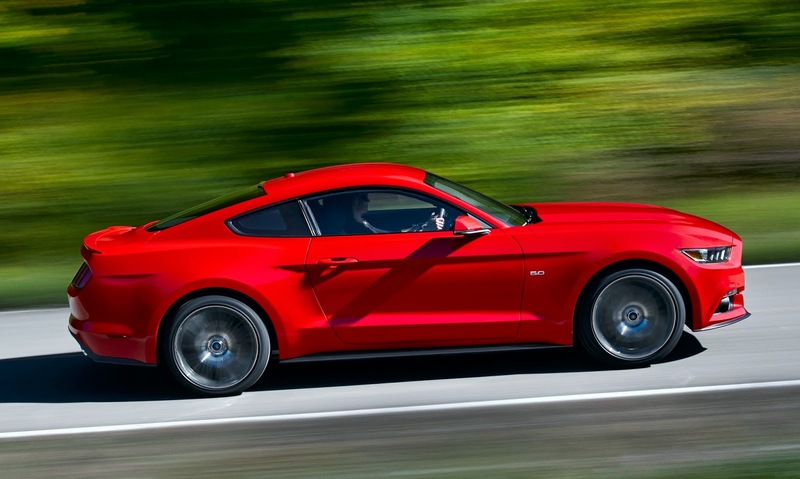 A convertible Mustang will be along soon, with a multilayer hood to reduce wind noise. No prices have been released yet but expect the EcoBoost to cost around £30,000. Looking at the interior photo, I couldn't help but notice that the air vents are the same as in the current model Ford Mondeo.